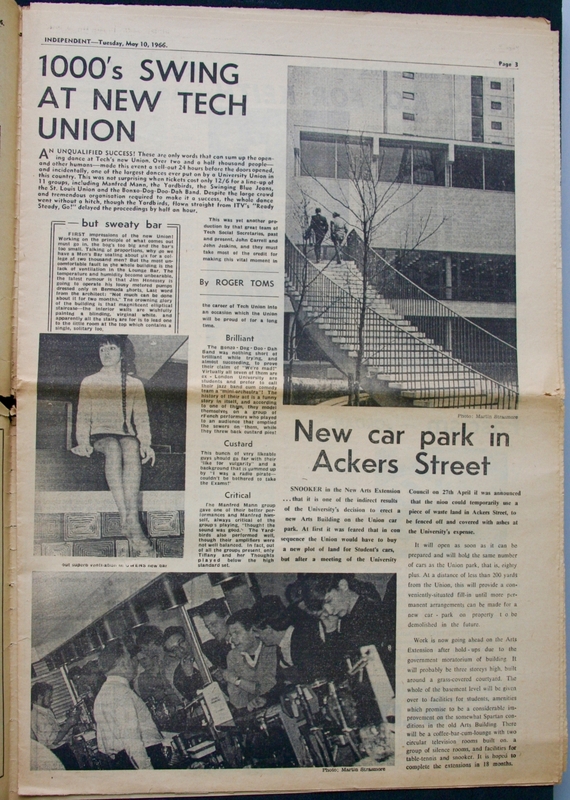 A great piece by Roger Toms on the opening of the new 'Tech Union' (the Barnes Wallis building at UMIST), 1966. According to Roger, 'Over two and a half thousand people - and other humans' swung the night away to the strains of Manfred Mann, the Yardbirds (whose amps were 'not well balanced'), St Louis Union, Swinging Blue Jeans and Bonzo Dog Doo-Dah Band. Some students were unhappy with the ventilation in the brand new building. Others said, 'the bog's too big; the bar's too small'.